Are you ready to prepare all the trimmings for the table? Or perhaps you’re visiting family or friends and don’t want to show up empty handed! Either way, we’re here to help. Shop WineStyles, Earn Bottle Bucks! First things first – remember you can earn Bottle Bucks for your Thanksgiving shopping! Throughout November and December, spend $100 at participating WineStyles stores, and you’ll get $15 back in Bottle Bucks to use on more goodies! 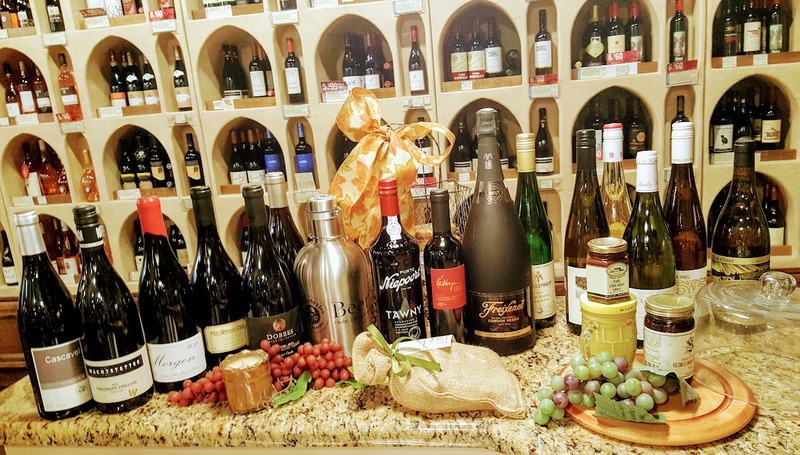 WineStyles is your one-stop shop for premium wines, craft beers, artisan cheeses and gourmet foods perfectly suited for your Thanksgiving feast. View details here, and find your local WineStyles store here. Offer void where prohibited. Wine: Bubbly is perfect for a pre-dinner apéritif. Plus it starts off your feast on the right foot. It is a celebration after all! Toast your guests as they come through the door and make them feel right at home. It’s even a good idea to keep out some bubbles for an in-between courses palate cleanser. Bubbly does a great job at cutting through fats and sweets. Food: Put together a simple yet stunning cheese and charcuterie board in no time at all. To please everyone’s palates, opt for a diverse selection of tastes (smoked, tangy) and textures (hard, soft, grainy) so there will be plenty of variety for your guests to nosh on. 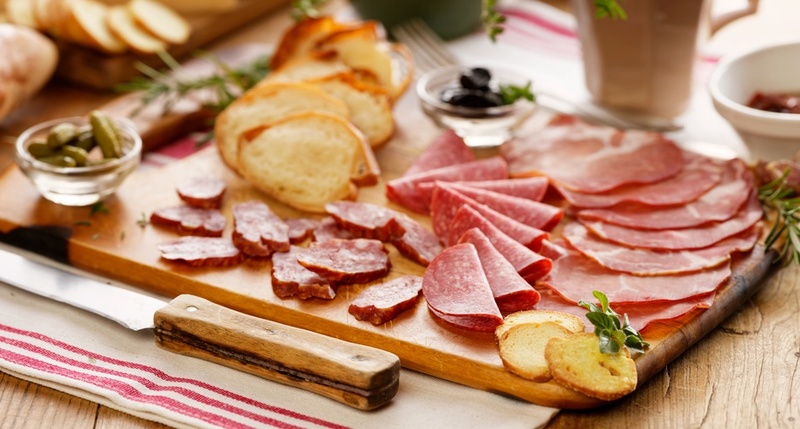 Once your cheeses and charcuterie is cut and displayed, add some colorful cheer! Colorful pickles, mustard, olives, cherries and nuts will make your board look tasteful and polished. 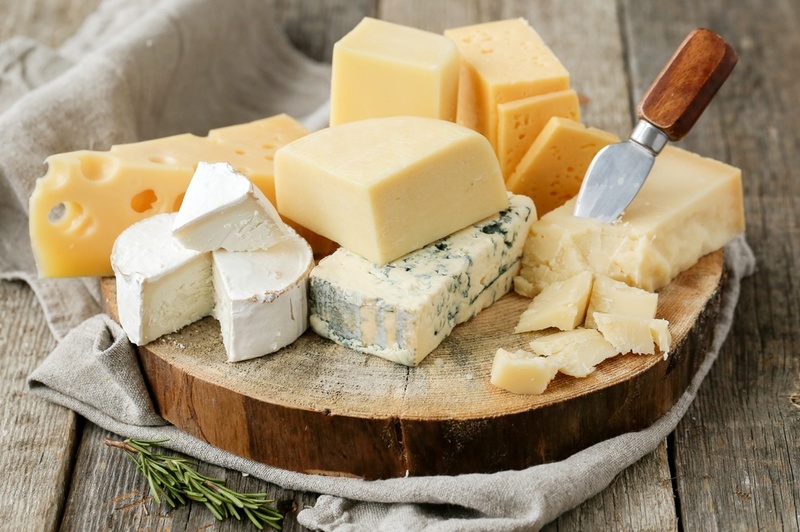 Pick up all the artisan cheese and charcuterie you need at your local WineStyles store. A high-acid, low-tannin Pinot Noir, such as from the Willamette Valley in Oregon is your best bet for a red wine to pair with Thanksgiving dinner start to finish. The key-word here is “fruity”. A dry red can lose its presence among all the fruity, sugary, and salty dishes on the table. The fruit-forward flavors of cranberry and cherry in a Willamette Valley Pinot Noir will complement your turkey dinner and all its dressings. Hint: At your local WineStyles store, ask for help selecting the perfect Pinot Noir for your dinner under the Fruity style section. A semi-sweet Riesling such as Weingut Geierslay from Mosel, Germany is your best bet for a white wine that can stand up to the turkey and all its dressings on the big day. You may remember this particular wine from your October Wine Club selections! (View Wine Club details and our special holiday sign-up offer here.) Riesling is incredibly versatile with typically low alcohol content and high acidity. It will complement just about anything you pair it with, and the touch of sweetness may be welcome by friends and relatives who aren’t wine connoisseurs. Please RSVP at your local WineStyles location. Seating space is limited, so make your reservation as soon as possible! *Please note: Classes and Boot Camp rewards may vary at different WineStyles locations. See your local WineStyles Tasting Station for details. Find your local WineStyles store here. This video talks in-depth about the German brewing economy. It details how much beer is sold in Germany each year, and the number of breweries the country has. (Statistics as of 2013). You’ll hear from a Professor of Biotechnology from Berlin’s Technical University, as well as a student in the field, and how they feel about the ongoing use of the German Beer Purity Law, “das Reinheitsgebot”. Enjoy the views of Oktoberfest tents and crowds towards the end. It really is a big celebration! This video gives a great overview of the 10 most common German beer styles. The host, from Beerland Diaries, also peppers in some great German beer-drinking cultural norms, such as the two-man beer race called “Bierkasten Rennen”, and how to properly toast with a Weizen. This third video is very approachable, from an avid beer-drinker and self-proclaimed “beer geek”, Oli Haydon. Oli will walk you through the Berliner Weisse beer style, as well as the German Beer Purity Law and what it means in Europe today. If you want to continue learning about German beers, follow Oli’s YouTube channel here as he continues with his series on German Beer. Now for a German beer drinking song! Oktoberfest isn’t complete without crowds of people sloshing around huge beer steins loudly singing together traditional German beer-drinking songs. This one is often heard in large Oktoberfest tents in Munich, and all over Germany. It’s titled, “Ein Prosit der Gemütlichkeit” which roughly translates to “A Toast to Good Cheer”. “Ein Prosit”, means “A Toast”, but “Gemütlichkeit” is one of those untranslatable words from German to English. It isn’t just one thing. It’s cheer, and warmth, and belonging, and acceptance all rolled into one – rather fun to pronounce – word. Of all the German beer drinking songs, you’re sure to hear this one should you visit Germany for Oktoberfest. It helps keep the party going, because each time it’s played, guests are invited to stand up, toast each other, and chug! ONE! TWO! THREE! DRINK UP! Thanks for reading, and Happy Oktoberfest! Prost! In our last post (click here to read), we celebrated National Chocolate Fondue Day with tasty chocolate fondue recipes, fun chocolate quotes, and our wine and chocolate pairing guide! We hope you enjoyed it, and will practice your wine and chocolate pairing skills all year long. But, why should wine get all the attention? Let’s talk about BEER! 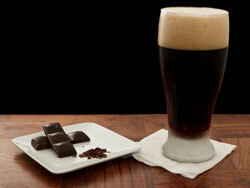 So, to all our craft beer lovers out there, we have good news — beer and chocolate go great together, too! In this post, we will discuss the basics of beer and chocolate pairing, and offer some tips for creating a match made in heaven. Like wine, craft beer is a very complex product of ingredients, time, and art. There is a wide, and ever-growing, variety of craft beers being introduced into the market every day. Craft beer brewers are taking matters into their own hands, mixing and matching ingredients like we’ve never seen before. This new age of craft brewing has truly become an art form all its own. Likewise, one bite into high quality chocolate and you’ll immediately realize the difference. Each variety of chocolate contains its own unique set of flavor profiles just like wine and craft beer. Similar to grapes, cacao beans and their subsequent flavors can be the result of a multitude of variables including topography, weather, soil conditions and harvesting processes. Who ever thought that chocolate would pair well with beer? Let’s break it down: to put it very simply – chocolate and beer pair well together, because there is a desirable interaction between the richness of the chocolate, and the carbonation of the beer. Think back to when we advised you to try champagne or sparkling wines with any type of chocolate in the chocolate and wine pairing guide. The carbonation in the bubbly, or beer, provides a round and full mouth-feel when paired with the fatty feeling of the cacao butter on your tongue. As we move on, remember the best part of any pairing is the experience, the joy of experimenting and trying different flavors together. We’re here to give you a basic road map to help you along that journey. You may have guessed it – richer, bigger, and overall maltier beers typically pair the best with gourmet chocolate. These styles are known as porters, barley wines, sours, stouts, and barrel-aged beers. 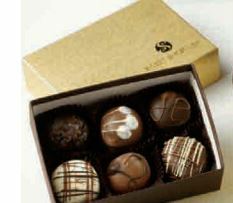 The rich flavors of these brews easily bring out the nuances in fine chocolates. Beer with a higher alcohol content is better able to cut through rich cacao butter (this is especially important to heed if pairing with white chocolate, as it is higher in cacao butter). It’s a good rule of thumb to first seek to match the intensity of the chocolate. If you’re opting for a dark-as-night gourmet chocolate bar, it would best be paired with an equally intense beer, such as a Russian Imperial Stout. Sours pair well with most milk chocolates, because they balance out the sweetness. If you’re unsure how intense your beer might be, or want to try another route, try matching up similar flavors. For example, IPAs are notoriously difficult to pair with chocolate, due to the bitterness of the hops used in making them. They do, however, tend to embody notes of summertime citrus. Match those citrus notes with a chocolate that has added lemon or orange zest for a pleasant pairing experience. Are there caramel or nutty notes in your chosen beer? 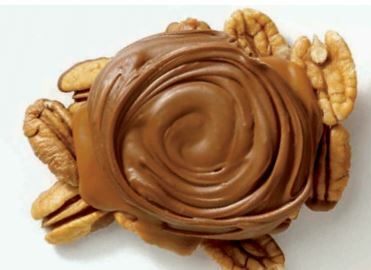 Try pairing it with matching flavors — a delicious caramel truffle, or a nutty gourmet chocolate. We know what you’re thinking — is there a universal pairing? One beer that can be paired with nearly any chocolate of choice? Yes, indeed, one beer rules them all when it comes to versatility! That king of beers is the fruit-infused Lambic. Kriek (Cherry) or Framboise (Raspberry) are great selections for a spot-on chocolate pairing 99% of the time. Like we said in the beginning, it is the journey that is the most fun. If you’re a beginner, try casually picking up a gourmet chocolate truffle the next time you head to your local WineStyles to pick up craft beer. If you’re already ahead of the game, invite friends over for a fun beer and chocolate pairing night. Have fun picking out which chocolates to pair with your favorite craft beers. You may just love what you find! Join our exclusive Craft Beer Club* and you’ll be among fellow beer lovers across the country. Each month you’ll discover remarkable craft brews, each with different beer styles such as Ales, IPA’s, Pilsners, Porters or Stouts. Monthly beer selections are chosen locally, focusing on beers from small independent brewers to regional microbrewers to international brewers using time-honored brewing methods. Plus you’ll enjoy all the perks that come with our Craft Beer Club memberships! It’s the perfect opportunity to Taste, Learn and Enjoy® amazing hand-crafted beers all year long! Gift memberships can be purchased by visiting your nearest WineStyles Tasting Station location. *Craft Beer Club is not available at all WineStyles locations. Please see your local WineStyles for details and information. (Click here for store locator). What’s terroir all about? It’s about the origin and quality of the beer you’re drinking right now. Ever wonder how hops are harvested? What Really Goes On At A Hop Harvest. This Is How You Pick Farm Fresh Pumpkin Beer. 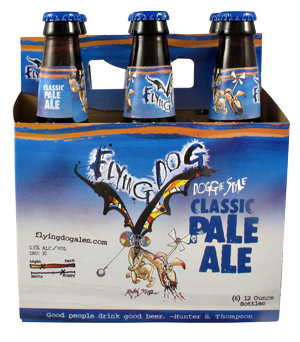 Since opening as a brewpub in Aspen, Colorado in 1990, Flying Dog Brewery has taken the craft beer world by storm. Today they ship more than 800,000 cases a year, across the world from their state-of-the-art facility in Frederick, Maryland. 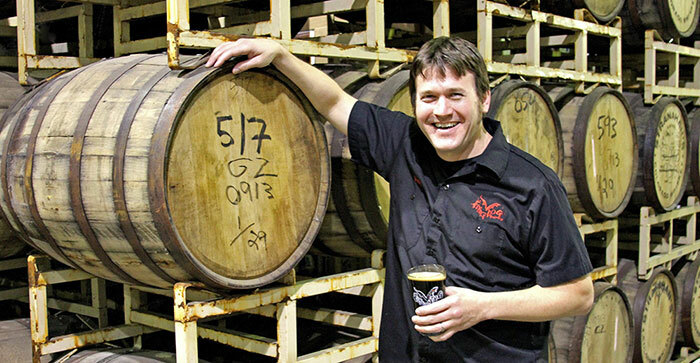 Matt Brophy, Flying Dog’s Brewmaster and COO, shares with us what makes craft beer so unique. What makes craft beer different from other beers? Craft beers draw their inspiration not from the factory profit-driven-machine mentality but from the creative desire to produce a product that is unique to its creator, the brewer, and enjoyable to the customer. Although beer is very simple in that is contains only four ingredients – water, malted barley, hops and yeast – it’s the nontraditional ingredients such as the use of spices, fruits, sugars and alternative cereal grains that has found its way to craft beers. How does Flying Dog brew their beer? Flying Dog brewers use traditional brewing techniques and all-natural ingredients. What are some of the different flavor profile you can find in a craft beer? Generally speaking all beers are a balance of malt sweetness and hop bitterness. A good brewer can manipulate ingredients to produce aromas and flavors ranging from crisp and quenching to much bolder sensory experiences. With the Super Bowl coming up, can you recommend special beers that pair well with Super Bowl food/snacks? Our hoppy Snake Dog IPA pairs with a spicy-hot pepper jack cheese but it will also do well with hot wings, spicy salsa or queso dip. Dog Schwarz is brewed using smoked malt and has a moderate amount of smoke in the aroma and flavor. This beer pairs great with smoked or grilled meats. A malty American amber lager like our Old Scratch goes great with some brats from the grill. What tips do you have for pairing craft beer with food? The simplest and best advise I have is to have fun and experiment. There is no “right” or “wrong” pairing as long as it tastes good to you. Our own craft beer enthusiast, Bob the Brew Master, has been keeping busy scooping out the latest in the world of craft beer. Today, he shares with us the latest trends and pairing ideas for the big games and the holidays. What are the latest brew trends we’re seeing this winter? Winter brings out the higher alcohol beers that are typically darker and often spiced. Although with the popularity of IPA’s I’m looking forward to some aggressively hopped double IPA’s this winter. This Saturday, November 8th is International Stout Day — another beer style to consider this season. 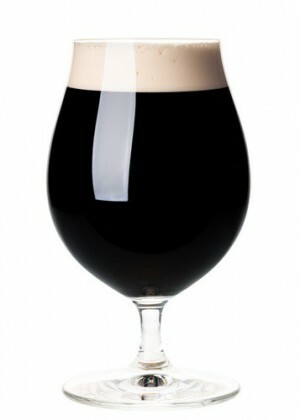 While stout beers appear dark, most are creamy and rich, sometimes even sweet. If you’re traveling this holiday season, I highly recommend tasting some regional stouts when you are in town. Whether you pick up a local brew at the nearest WineStyles or local brewery, it’s all about “taste, learn and enjoy”. I recently had the opportunity of enjoying a St. Ambroise Oatmeal Stout in Montreal, a rich brew punctuated by espresso and chocolate notes, topped with a thick, creamy head with just a hint of mocha. What beers would you recommend to enjoy with big games? There are some great seasonal beers available now, like Goose Island Mild Winter, Bells Winter White Ale, Sam Adams Fat Jack and Sierra Nevada Celebration Ale. These are great selections on game day. Any recommendations for which craft beers to pair with a Thanksgiving feast? Malty beers tend to go well with turkey & stuffing things like Stone Brewery Levitation Ale, Flying Dog Old Scratch or Oskar Blues Old Chub and for dessert Southern Tier Choklat Stout. Any recommendations on what beers would make a great gift for beer connoisseurs? 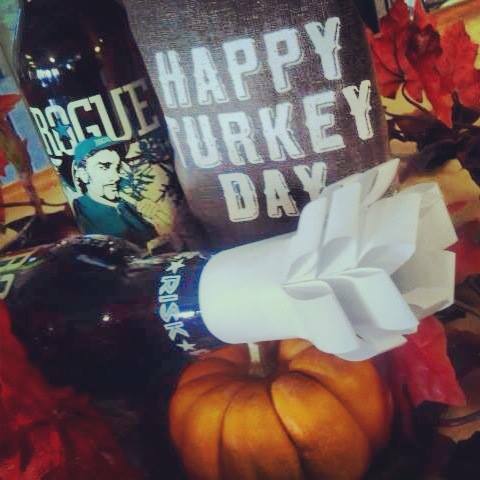 Seasonal Holiday beers always make a great gift basket or stocking stuffer like Rogue Santa’s Private Reserve. Why do you think the beer club is a great idea? Having a beer expert suggest fantastic new craft beers for me to enjoy every month – what’s better than that? 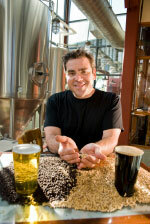 Want to learn more about craft beer or submit a question to Bob? Send your questions to info@winestyles.net to be considered for the next posting. Cheers to your holiday celebrations! Our own craft beer enthusiast, Bob the Brew Master, has been keeping busy scooping out the latest in the world of craft beer. Today, he shares with us the latest trends and pairing ideas for autumn. What are the best beers to enjoy this fall? Fall means Oktoberfest. The cooler fall weather makes the craving for hearty more flavorful and substantial beers arrive. As the leaves gets darker on the trees, so does the trend of enjoying darker beers and flavors that are typically more toasty and malty. What are the newest flavors we’ll find on shelves this season? More and more craft brewers are showing off their brewing talents with some great pumpkin ales, brown ales, black IPA’s, Porters and Stouts. Warmth inducing, stronger flavor and higher alcohol beer is great for cool weather. 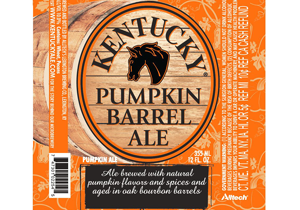 Kentucky Pumpkin Barrel Ale is aged in fresh bourbon barrels, the sweetness of caramel and vanilla are imparted upon the brew and complement its spicier base. This robust, limited release seasonal makes for a flavorful sipping beer to slowly warm up with as the weather cools. Why do you think pumpkin and other strong flavors have taken over as the newest fall traditional beers? Beer geeks are always looking for new unique flavors and extreme beers. American Craft Brewers continue to push the envelope on taste and style with pumpkin ales, strongly hopped double or Black IPA’s, higher alcohol beers and chocolate and coffee stouts. I’m especially impressed with Rogue Ales, who grow their own ingredients from “patch to batch”, just look for their GYO label (Grow Your Own). Whenever you see the Rogue Farms label, you’ll know they are farming their own ingredients. 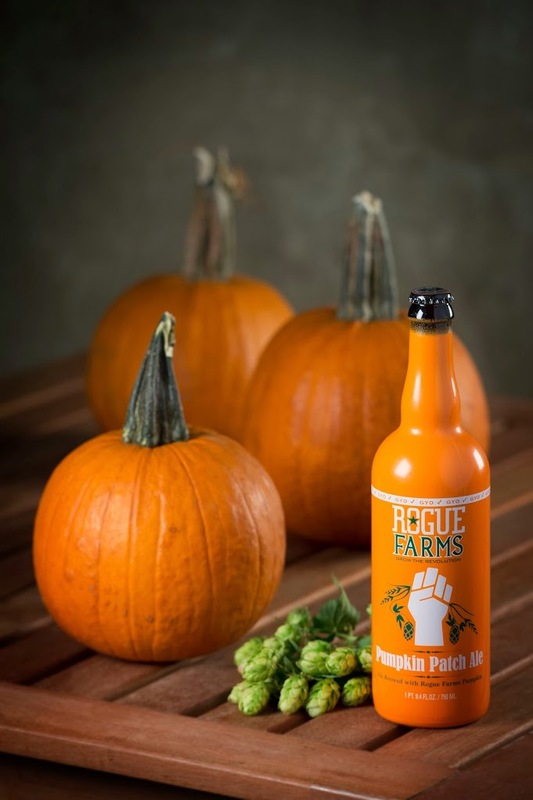 Such as their Pumpkin Patch Ale, made with their own hops and pumpkins grown at Rogue Farms in Oregon, and brewed with a touch of ginger, cloves, vanilla bean, cinnamon, cardamom and nutmeg. This craft beer pairs especially well with pork or desserts. What’s your favorite craft beer and cheese pairing for the fall? I like to pair a nice hoppy IPA like Stone Ruination IPA with an aged Gouda or an Oskar Blues Ten Fidy with a Strong Blue or Asiago cheese. the reason we love Rogue…..just like a vineyard grows their own grapes to create fine wines, Rogue grows their own hops to create tasty hand-crafted beer! Drive down Wigrich Road to Rogue Farms this time of year and you’ll always find something new going on.